This week, I had the wonderful opportunity of communicating with a very talented designer named Julissa Arias. The neat thing is that she started an online interior design studio which allows anyone to afford custom interior design services! 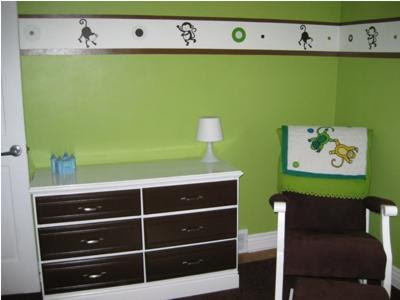 She specialize in Nurseries, Play rooms, Children and Teen Rooms. She sends a detailed Questionnaire which allows you to define your needs and preferences. You tell her what you already have and what you need as far as furniture and accessories. And you do your own measuring and photography. 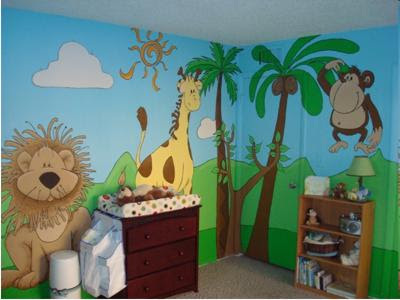 Then, based on the information you provide, she then creates your iBaby Custom Interior Design Planner. You implement the purchasing and installation process, with the aid of your iBaby Planner, under any budget you choose. Isn’t that awesome? Now anyone can afford a professional baby nursery designer! I have asked her a few questions so you can get to know her a little bit. I graduated from the University of Miami in 2003 and went on to work for high end Interior Design firms until 2007 when I had my son, Christopher. I became a SAHM and loved it but as the time went on I missed my work and thrill of designing beautiful spaces. In early 2009, a friend and former client called with the news that she was expecting! 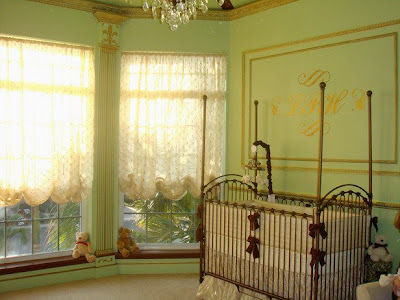 I was very excited for her, she was disappointed that I would not be able to design her nursery since I had moved away from NJ to Florida in early 2008. I had an AHA! moment, I thought about it for days and days, “What if? 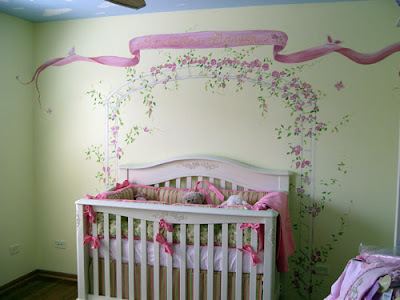 What IF I could design her nursery from Florida? What if there was an ONLINE Interior Design Studio?” Over the course of 3 weeks I had a complete custom interior design planned for her space!!! All she had to do was send me images and dimensions of her space and answer the same questions I would have asked her if I’d visited her home!!! iBaby Interiors was born!!! What was your favorite nursery that you designed? I have years of interior design experience, most of my work has been high end residential and commercial projects. 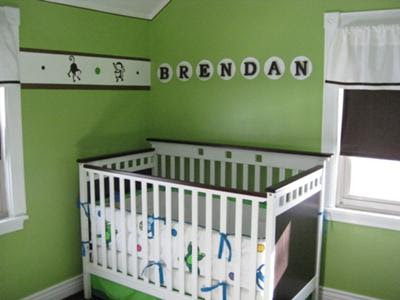 When I was pregnant I loved designing my son’s room and still was able to stay within my budget! However I don’t have ton’s of nurseries designed as this is a new passion of mine. I don’t have a favorite yet….but I will include an image of the one that started it all. I have also included the images of a 15 year old boy’s room which I designed several years back but was a hit with my clients!!! What inspires you when designing a nursery? Where do your ideas come from? My ideas can come from many places, usually with the direction my client leads me in, I will find a fabric or a painting that is usually where it all begins. When I am working on a project it becomes a part of my daily life, sometimes I even find myself waking in the middle of the night with an idea so good that I must jot it down and or draw it. I am also a parent and I know how thrilling it is to walk by an empty room and dream of the little occupant that will soon reside there! Also I really want to get across the great DEAL that my company offers. Custom Interior Design is expensive and not always accessible to everyone, however through iBaby anyone can have the luxury of having a custom designed space for their little one. Especially with this down economy it is a GREAT value and it’s an innovative way to have custom interiors. 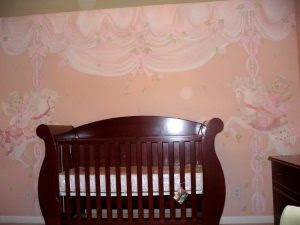 I also do Toddler, Children and Teen rooms. 2. Place the deposit through PayPal on the Pricing & Order tab. 3. Email me at iBabyInteriors@gmail.com, once the order has been placed with your name and contact information. 5. Once you email me at iBabyInteriors@gmail.com with this information I will commence work on your space. It will take approximately 10 business days to complete the project. 6. 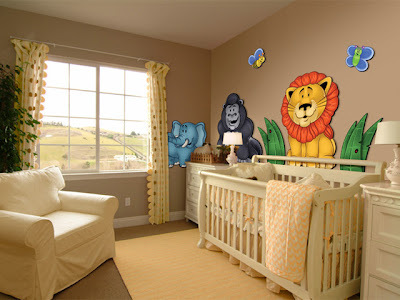 I will notify you of the completion of the project, on my website you pay the Balance and I will notify you mailing date of your iBaby Custom Interior Design. My work comes in a beautiful portfolio that ties with a satin ribbon, and it will contain space plans, 3d images of the space, paint swatches, fabric swatches, furniture picks, window treatments picks and swatches, lighting and flooring recommendations, and a shopping guide that will list the pricing, where to buy and total cost of the space. ( the total cost will always be with in the budget the client specified in the questionnaire. So, there ya have it! Isn’t she great? I just love her business and know that she is going to do really well. 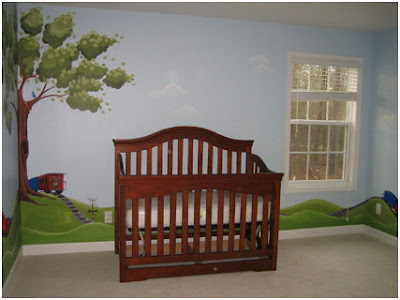 So, if any of you have a nursery that you need designed, be sure to contact her today! 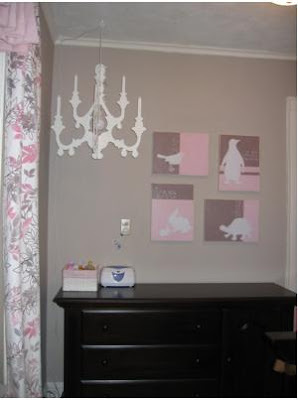 I am so in love with these nurseries so much sophistication and style! I found these on HGTV.com’s Rate My Space site. These are not as elaborate, but the murals really give the room class. 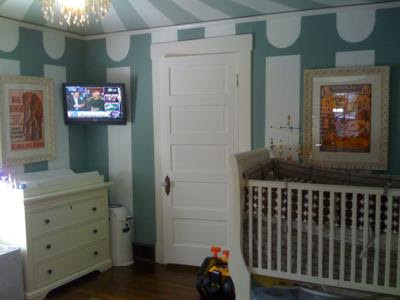 I love this one with the carousel horses on either side of the crib. Love the soft color palette. This one and the next one were done by Mary Grace Nichol. 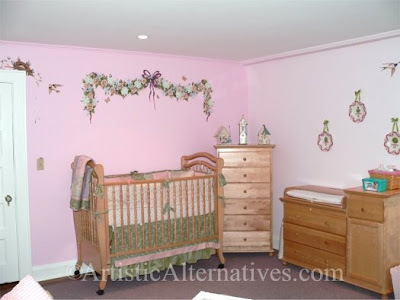 This nursery is so gorgeous! I love the pink and fern green combination with the harlequin diamonds and the hand painted flowering vines – just enough. 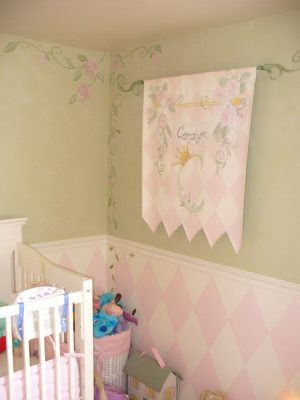 The following two are of scroll / swag / flower designs above the crib. There is just something about a flower swag over the crib that is really sophisticated. Do you all remember “My Wonderful Walls“? I did a Giveaway recently for one of their DIY stencil murals. We got a really great response! Since then, I have had the opportunity of corresponding with Michael (the husband of the husband and wife team. He just let me know that they would like to offer my readers a special discount code for $5.00 off any purchase from their site – www.mywonderfulwalls.com The code is s123. 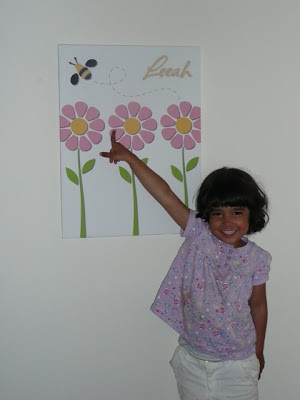 They also sent me one of their custom canvas murals which I had made with my daughter’s name. She is 3 years old and she absolutely loves it. Here is a picture of her and her picture. These canvas murals come already made. They have several themes to choose from – flowers, transportation, farm, jungle safari, and underwater. And as you can see, some can even be customized with your child’s name. Each mural runs around $45. But if you use the coupon code that they have provided for us, one of these awesome murals will only cost you $40! You really should take advantage of this great deal! Another wonderful thing about this company is that they also are passionate about helping out in the community. They started a special mural giving program. I don’t know about you, but it means a whole lot more purchasing from a company that you know is giving back to those who need it. 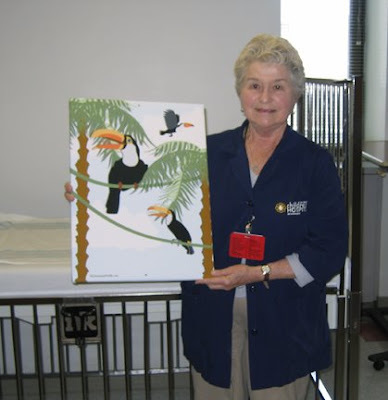 They are currently installing a variety of their canvas murals, for free, in all the inpatient rooms at T.C. Thompsons Children’s hospital. They have 52 bare rooms that they are trying to fill. They are partnering with various blogs and website owners to help support the idea. They are asking for our help by putting their banner with link on their home page and they donate a mural monthly or bi-monthly in that specific blogger’s name, depending on the popularity of their site. They call it Growing Through Giving. It helps their company grow and helps bring some cheer to kids who need it. Isn’t that great? I love it! Check out these pictures that they just sent of them installing the pictures in the hospital. So, if you are interested in grabbing their button to put on your site or blog or even interested in donating a canvas mural for this great cause, please leave your name, email address, and blog URL in the comment below and we will get back with you with the details. And don’t forget the discount code! Hop on over to the My Wonderful Walls site and check out all the great stuff to help make boring children’s room walls into something FABULOUS! Loren Pease was born and raised in Connecticut and attended college in Ithaca NY. After dabbling in the advertising field she became a high school art teacher to enable more hands-on opportunities and encourage the promotion of fine arts. After her son was born, Pease decided to pursue her freelance artwork to allow more time with her family. Loren is inspired by nature, photography and her experiences while traveling in Europe and Asia. She enjoys exploring the use of different media and loves the challenge of a new project. 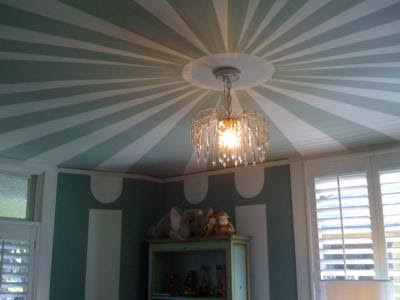 Her acrylic wall murals are rewarding to paint as they blend her creativity with her clients’ personal requests. 1. How did you get started painting? I have always loved art. I studied fine art and advertising art in college but when I was able to put it into practice I found it too restricting. I went onto teach fine art in NC high schools and loved watching kids react to art the way I had as a student. 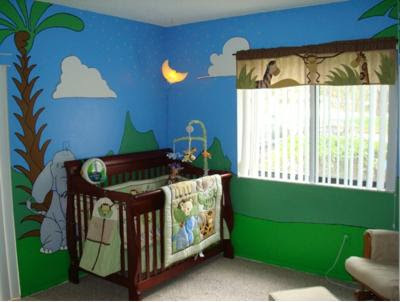 During that time a co-worker ask if I would paint a mural her babies room. Why not? The rest is history. I taught until my son was born and made murals a full-time gig. Now I can’t imagine it any other way (though, I do miss my students). 2. Where do you work? 3. What was your all time favorite children’s mural that you have painted and why? Tough question! They are all so different. Some murals I loved because the moms loved them so much! 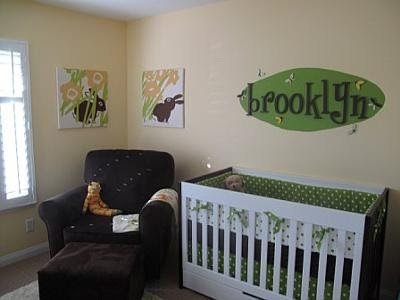 It’s pretty amazing to cause someone cry from pure joy when they see their new, special nursery! I love doing murals that are personalized, like the lamb mural I made for a friend who’s husband was from New Zealand. They wanted their son to feel apart of both NC and New Zealand and the mural reflected that well. 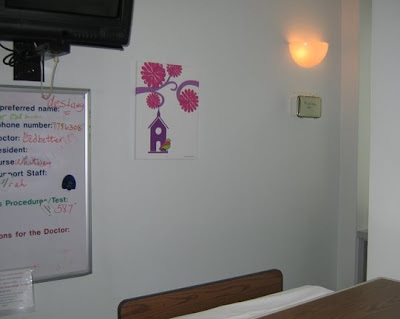 I also really enjoyed the painting I did for the Duke Pediatrics corridor. It was recieved so warmly and the patiants always stopped to enjoy it as they walked the halls. Some murals look really pretty and some evoke emotion. It’s fun to mix it up. So, I guess I can’t answer that very well…that may explain why I have yet to do the rooms for my own children. I put so much pressure on myself, maybe I’m waiting for the “ultimate” mural! 4. 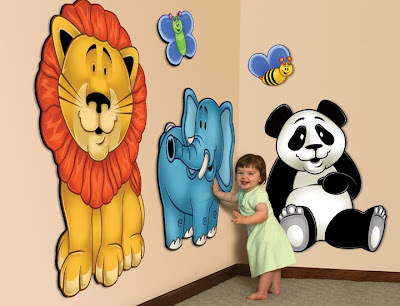 What children’s mural theme have you always wanted to paint, but haven’t yet? I have done a few peaceful beach rooms but never a cool, realistic surfer beach theme. I LOVE the beach and imagine if I could have painted my room as a kid that is what I would have selected…what would be better then looking at that as you wake everyday before school? Come to think of it, maybe that answers question #3! I hope my boys like the idea of having a surfer room. I will live vicariously through them. This is one of my favorites of Lauren’s murals. I love all the detail! So, what do you think of Loren’s work? I recently met a fellow artist who also enjoys painting children’s murals and I asked if I could share with my readers some of her work. She also lives in New York just like me. I am a Manhattan based artist. I received my BFA in Illustration from Syracuse University in ’98. My focus was children’s Illustration which is how I got into painting children’s murals. I started Michele’s Murals shortly afterwards. I have painted hundred’s of residential & public murals since. Some of my public murals include the Westport CT YMCA, The Pumpkin Preschool, and Little Pumpkin’s Baby supply in Mount Kisco. Beside murals I have worked as a designer whose clients include the Disney Store, Mattel, and Nickelodeon. It’s funny because I really didn’t know that she was actually my direct competition until I read her bio and realized that she has worked in some of the same towns that I have. LOL Well, thank God there is enough work here in NY for both of us! I particularly love the large flower murals in the pictures below. 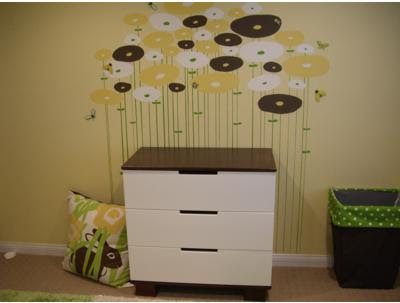 Wallstory is offering an awesome giveaway on their blog for this Do It Yourself / Paint by Number Tree Mural! Not many have signed up, so you have a really good chance to win! All you have to do is subscribe, comment, and tell a friend about the site – easy peasy! And guess what guys, Wallstory is offering a 20% discount on any of their wall murals (subscribers only). How cool is that? So be sure to check it out! Don’t forget about the giveaways I am having RIGHT NOW on my Painter Mommy site! Click on the links below! 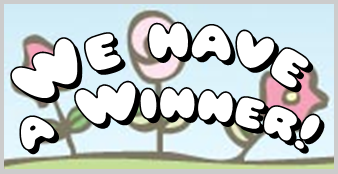 Giveaway Winner & Special Offer by Wallsy Tales! I am announcing the winner of the Wallsy Tales Mural Giveaway, but before I do I just wanted to let you know…. I have a special offer for my readers from Wallsy Tales! Be sure to check it out below!! Erin is the lucky winner!! CONGRATULATIONS!!! I will be contacting her by email. If she doesn’t respond within 48 hours, I will then pick another winner at random. That isn’t all folks! I have a special surprise for my readers! Wallsy Tales has given us a special coupon code to get 50% off!!!! they have even knocked off the taxes & shipping charges!! WOW! This offer will not last long so take advantage now. You cannot get this deal anywhere else!!! CLICK HERE FOR MORE INFO!! 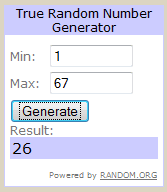 Lucky # 26 has won the Goldtone Designs Baby Neck Support Pillow! The winner has been contacted by email. She will have 48 hours to respond, otherwise another winner will be chosen. Remember a few months ago I told you about a contest that was going on for the best nursery design, and I was chosen as a guest judge? 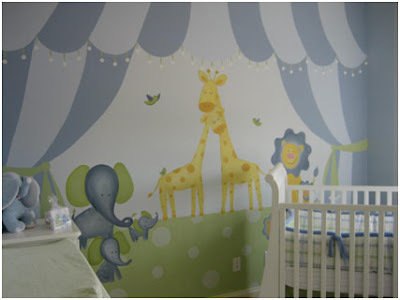 Well, It is finally judging time on Creative Baby Nursery Rooms! 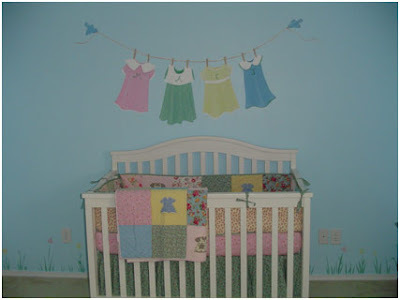 There are 5 finalists for the Nursery Design Contest. Help me choose guys!! Comment with the numbers in order from your favorite to least favorite. Can’t wait to see what you guys come up with! I can’t wait to hear your thoughts on which nursery design YOU think is the winner! Also, don’t forget about the awesome GIVEAWAY I have going on for a Movable Mural Set by Wallsy (worth $160)! Click Here to Enter!! Are you guys ready for my next giveaway? THIS IS A GOOD ONE!! I happened to come across the Wallsy Tales Website while doing some research for a blog post I was doing. I was loving their colorful interactive website and not only that, they had such a great idea to spruce up boring nursery walls! 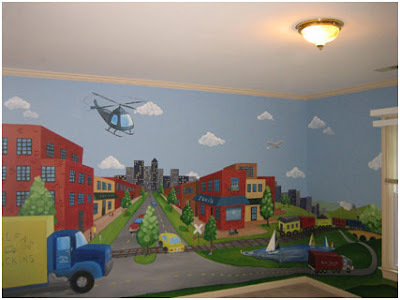 Many of us moms are unable to have murals painted in our children’s rooms for various reasons. The number one reason is usually budget. 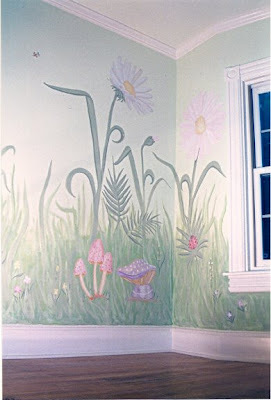 It can be quite expensive to have a professional mural painted (I know, I am a professional mural painter remember?!) Another reason could be for those of us who rent. My husband and I are renting right now and we are not aloud to do any painting at all. Yes, very frustrating, considering I have 3 small children and I am a Children’s Muralist! Ugh! So when I came accross this awesome idea for REMOVABLE murals – I was delited. I contacted the company and asked if they would be willing to sponsor a giveaway for my awesome readers. (Yes, that’s you!!) And guess what? They said yes!! You are in for a treat! Here are a few words from the company! At Bright Eyes Big Smiles we are committed to ‘Making Kid Spaces Fun Places’. As parents ourselves, we know the simple joy that a child’s smile brings to our lives. We hope you experience the same with Wallsy Tales. Wallsy Tales creator, Jon Conkling has been a professional artist for over a decade for such clients as Disney, Scholastic, & Nickelodeon. This 8 piece set totals almost 30 sqft of character murals. One Main Rule – Comment about why you would like to win this mural set and who it would be for. For extra entries you can do any one of the following and leave a separate comment for each one. 6. 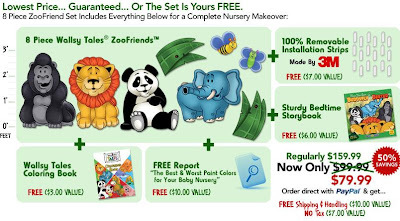 Twitter about this giveaway (copy & paste) – @PainterMommy Wallsy Tales is giving away ZooFriends “Movable Mural” set worth $159.99 Comment and win! http://tinyurl.com/c2vygm Retweet! This giveaway will end on Wednesday, February 25th, so good luck everyone!! You must have a valid US address to be eligible to win this prize.